Waste Transportation and Disposal Inc.
Mr. Brieske successfully argued in Georgia Court of Appeals that insured homeowner parents did not owe a duty to prevent the death of a minor who consumed alcohol and methadone pills at a party held by their 17-year-old son while they were out of town. Wrongful death case vs. parents dismissed. Mr. Brieske obtained a defense verdict after four day jury trial in DeKalb County in serious injury automobile vs. pedestrian case where DUI was alleged. Plaintiff claimed $1.4 million in damages. Mr. Brieske successfully obtained order from Supreme Court of Georgia affirming ruling that a technical violation of the State Board of Worker’s Compensation rule regarding preauthorization of medical care did not make employer or insurer responsible for employee’s second back surgery. At hearing level, Mr. Brieske won ruling that Insurer not responsible for tens of thousands of medical costs and continued payment of income benefits. Mr. Brieske obtained defense verdict in defamation suit claiming over one million dollars in compensatory and punitive damages before a Fayette County jury. Mr. Brieske’s areas of practice are insurance defense litigation, insurance coverage advice and litigation, premises liability, commercial litigation, homeowner’s liability litigation, and employer and insurer workers’ compensation defense. Since 1992, Mr. Brieske has tried and mediated numerous cases in these areas and has obtained favorable results for his clients. Mr. Brieske has also provided coverage advice, drafted reservation of rights and coverage disclaimer letters for several insurance companies with respect to pending litigation. For example, Mr. Brieske and his partner, Michael Rust, served as southeastern coverage counsel and provided coverage advice and drafted reservation of rights and disclaimer letters to one of the firm’s insurance clients as to its potential liabilities arising out of insurance policies provided to funeral homes who had been sued as a result of the North Georgia TriState Crematory litigation. 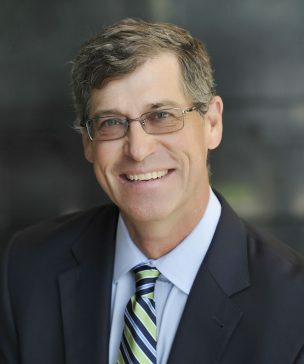 Mr. Brieske also has provided coverage advice to several of the firm’s insurance and business clients for their liability under both homeowners, business and law enforcement policies concerning their obligations arising out of litigation involving sexual abuse, harassment, molestation and other intentional torts. Last, Mr. Brieske currently serves as Georgia coverage and bad faith counsel for a national insurance client specializing in homeowners and automobile liability insurance coverage. Mr. Brieske heads our firm’s workers compensation defense team and litigates claims on behalf of employers and insurers through the State of Georgia. Mr. Brieske has also taught and chaired seminars on insurance coverage, defense of automobile liability claims, ethics, workers compensation and uninsured motorist coverage and litigation. Mr. Brieske has lived in Atlanta, Georgia since the age of 5 and attended St. Pius X High School. Mr. Brieske and his wife, Cindy, currently live in the Northlake area of DeKalb County and have a son and daughter, Georgia and Nathan. Mr. Brieske is also active in the Atlanta Bar Association, sports leagues, and has been a member of Atlanta Bar Association’s championship teams in flag football and softball.